I dont really know what to say or where to start as the pictures say it all really. 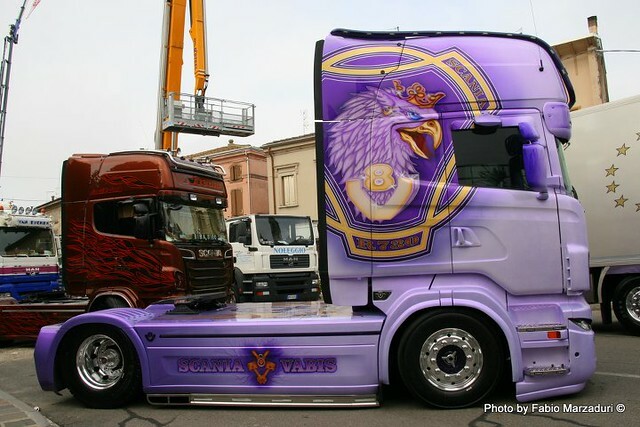 A bit over the top some might say, to much, whats the point, etc etc. 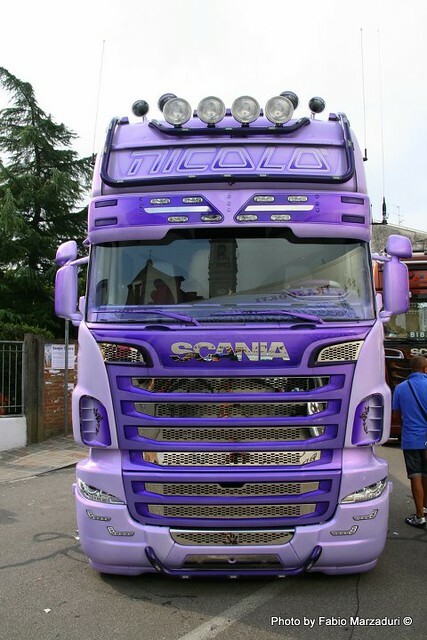 If you forget all that and just look at the big Scania, you can’t disagree that it is pretty amazing. 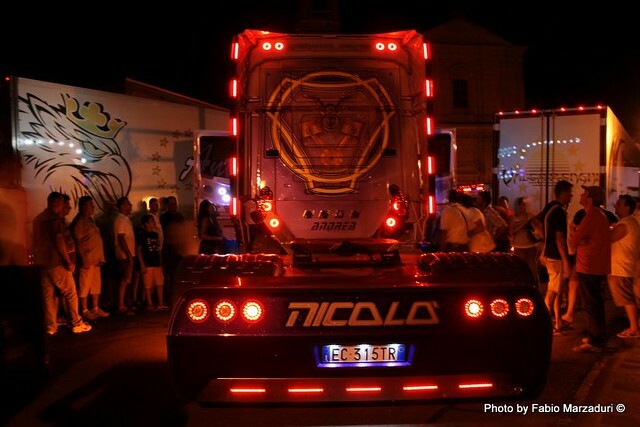 What call a Ferrari look rear bumper, totally new headlight set up and the paintwork, well again it is just amazing, just imagine its matching fridge trailer!! Not really my cup of tea the pink but some how it does seem to work. 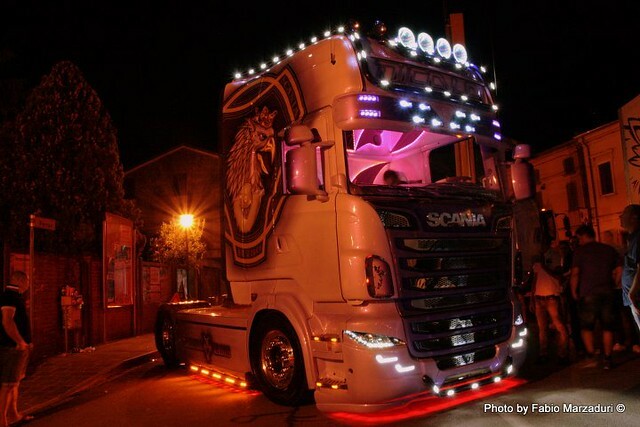 Even at night it just looks the business, agree or disagree?? 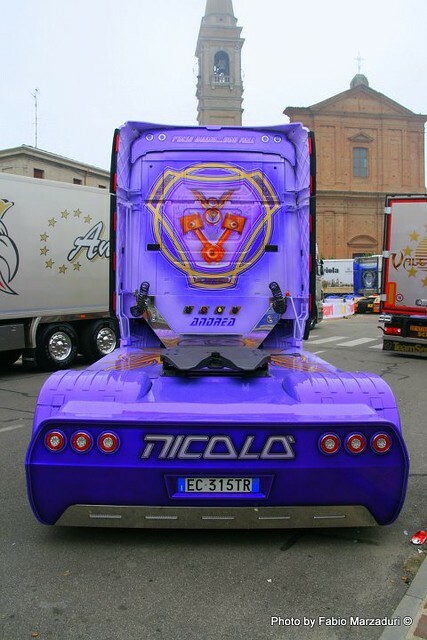 leave your comments or email me with a better more amazing truck and I will put it on here, ben@truckblog.co.uk thanks to my Italian pal Fabio for the excellent photo’s. If you are a Facebook user his photo’s are worth a look. 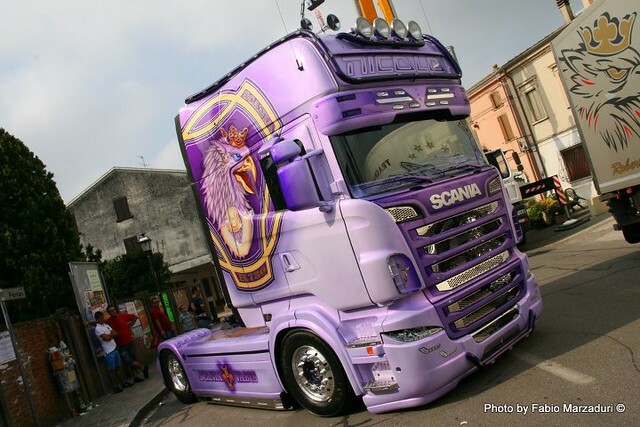 This entry was posted in International Mega Trucking, Photos, Scania, Show News by truckbloguk. Bookmark the permalink.